Value for money ... Es war sehr schön. Zimmer besser als erwartet. Frühstück gut. Oscar Resort Hotel has an enviable position, straddling the sparkling unique waters of the Mediterranean on the side and the imposing Five Fingers Mountains on the other. Recognised as the a little place in earth, touch by haven, Kyrenia's reputation as Cyprus's pearl finest resort. 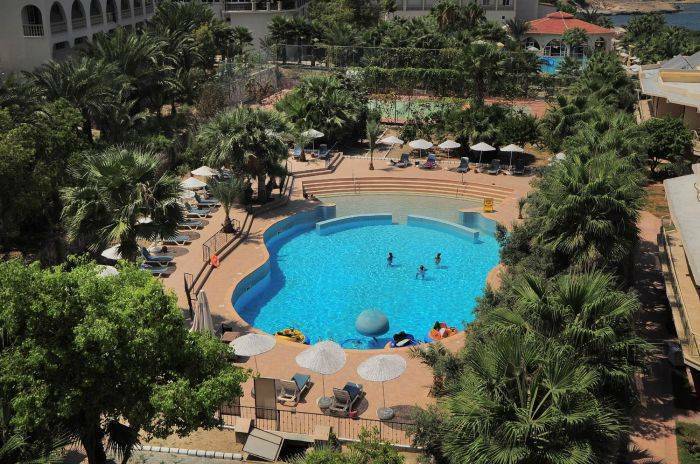 Oscar's Resort Hotel Club Kyrenia is a resort type property, offering three different types of accommodations as Main Hotel rooms (Land & Sea View), Club Studio & Club Gallery & new Pool side Family Rooms and new Pool side Jr Suite rooms . Situated 1. 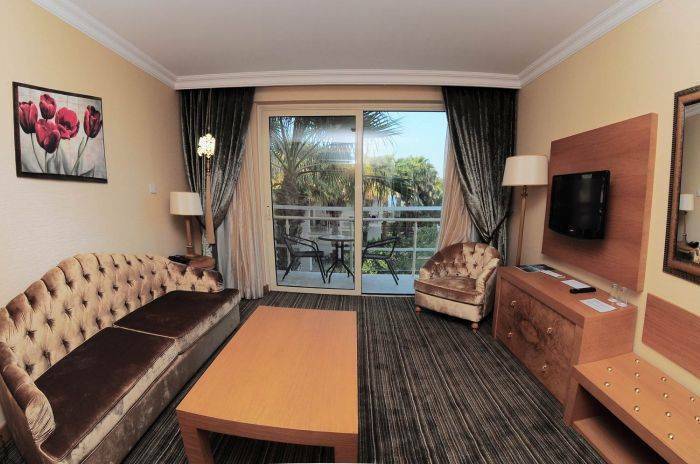 5 km- �twenty minutes� walking distance to Kyrenia town centre. 35 km from Ercan Airport (which about 30-35 minutes drive). 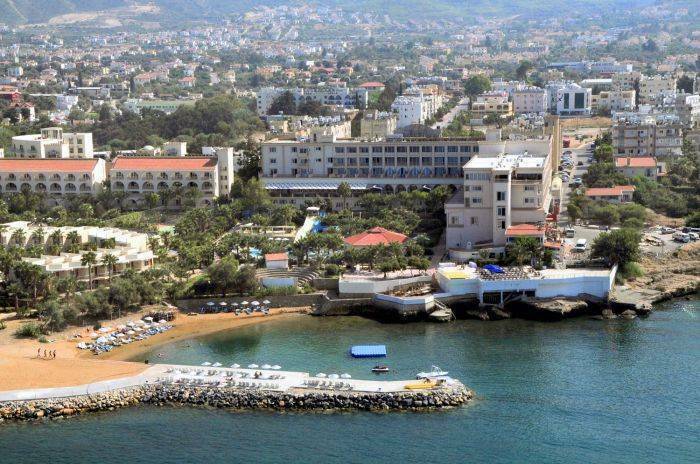 There are 152(82 sea view & 39 land view rooms & 20 triple rooms ) in the Main Hotel building as well as 8 Suite & 3 two bedroom King Suite rooms, 42 Club rooms (14 Club studio & 28 Club gallery type) and 30 Panoramic Junior Suite room around the Y shped swimming pool. Main Hotel Building, There are 152 Sea view, harbour view & 39 non sea view, twin and or dbl bedded rooms all with balcony, all are air-conditioned with private en-suite facilities, satellite TV, mini-bar (ready for consumption), electric kettle (no tea bags & coffee bags provided in rooms), hairdryer, direct telephone line, safe box (charge a small amount), WC, bath/shower, balcony and will suit those on a budget. Each main hotel rooms are furnishing with hardwood floor or carpet and full sized bathrooms with showers. Swimming Pools Main Pool Y shaped, Fresh water, including two child divisions. Aqua Park Pool fresh water, outdoor Jacuzzi as well as including two fun slides. Wave Pool with wave generator. (Operation time table is at pool area info board.) Indoor Swimming Pool fresh water, heated in winter season, sauna, Jacuzzi, steam bath & Gym. 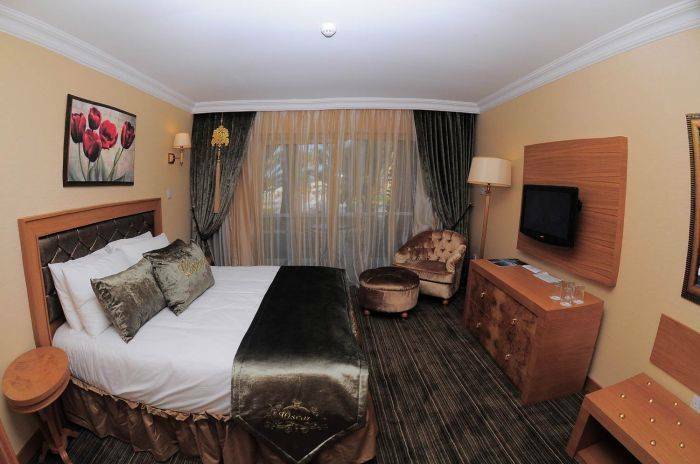 Oscar Resort Hotel is just east of Kyrenia's new Barbour, only a 20 minutes walking distance from city center. If you are looking for a holiday with a difference, Kyrenia in Northern Cyprus could be just the thing. Kyrenia City has something for everyone and this includes some excellent sandy beaches, restaurants, nightlife and shopping. 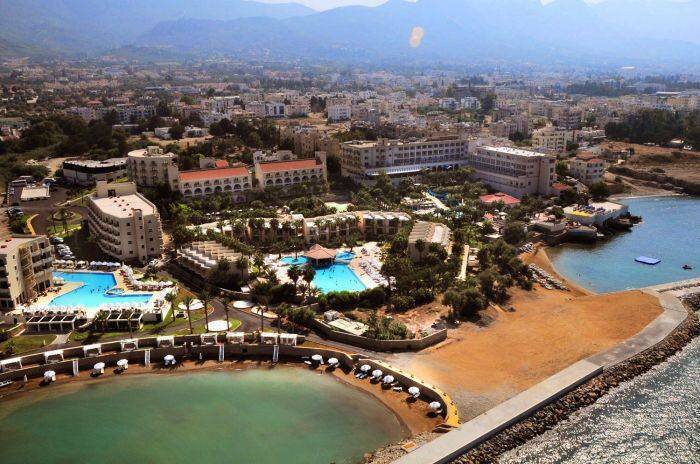 Kyrenia weather is great and the Mediterranean climate means that you are guaranteed sunshine. There are so many touristic places to visit including a number of castles and museums. The harbour is where you will find a large number of restaurants, bars, cafes and shopping. Golf lovers will be delighted to know that the Korinium Esentepe Golf and Country Club is now open and this 18 hole international course is the first of its kind in Northern Cyprus. It is estimated that this new development will attract golfers from around the globe. Shopping in Kyrenia is also excellent and you can purchase a number of different souvenirs including ceramics, handcrafts, local spirits and tobacco at very reasonable prices. Fake designer label clothing is also extremely popular and you can get these for a fraction of the price you would pay at home. When it comes to nightlife there are a number of clubs and bars that you can choose from. These include Cafe 34, Night Park with its DJs, and Escape Beach Club where you can dance until the early hours. Some of the best beaches in Northern Cyprus are found on Kyrenia coasts and these include Acapulco beach where you can partake in windsurfing or just relax on the 1km of sandy beach. Escape Beach is also very popular and there are a number of water sports that you can try. Alagadi beach is one not to be missed as this is home to the loggerhead turtles who come here in summer to lay their eggs. HERE IN SUMMER TO LAY THEIR EGGS.